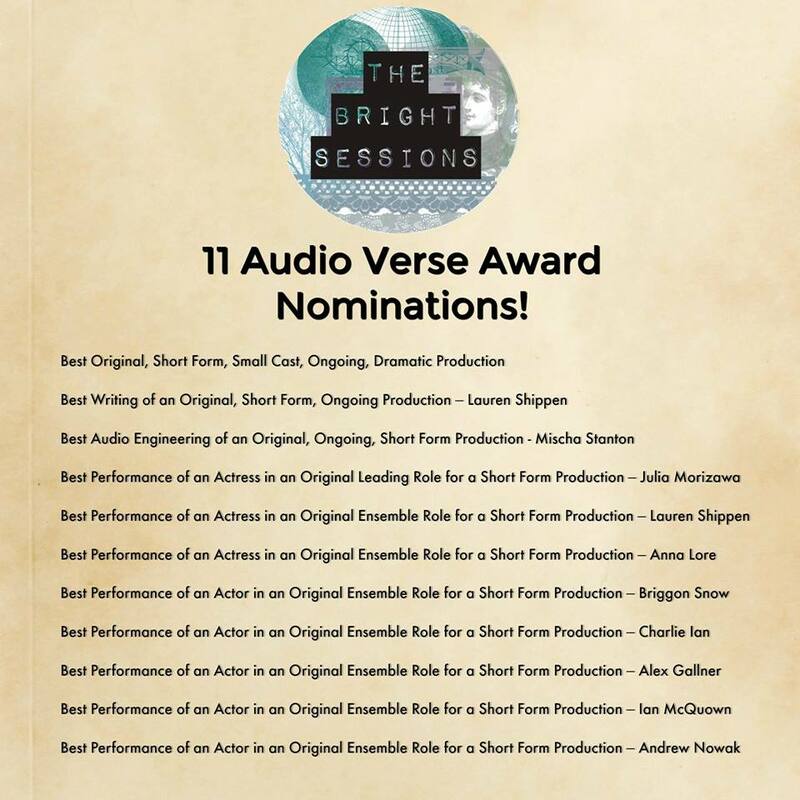 The Bright Sessions won 7 AudioVerse Awards! Best Show, Best New Show, Best Writing, and Best Audio Engineering to name a few. Pretty Dope!